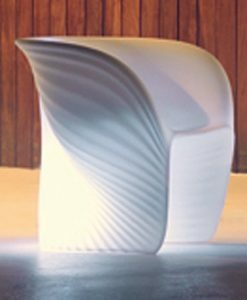 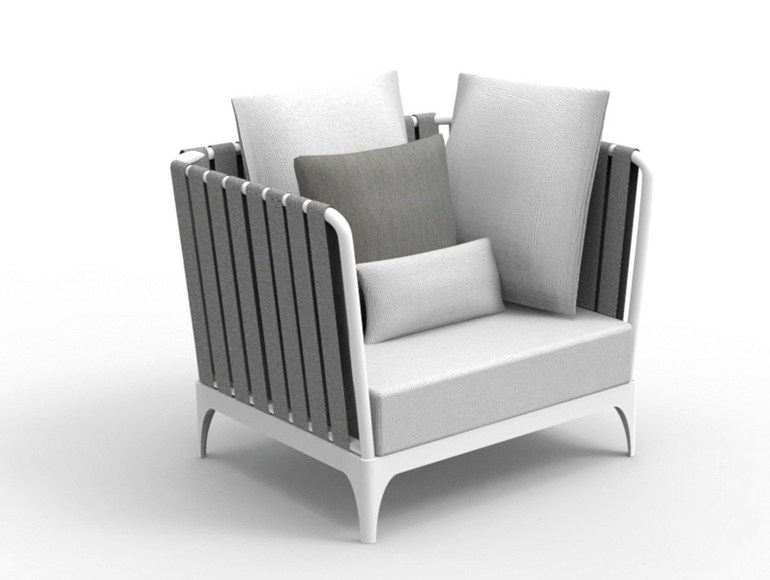 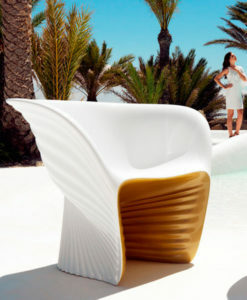 Janus, is Modern Club Chair. 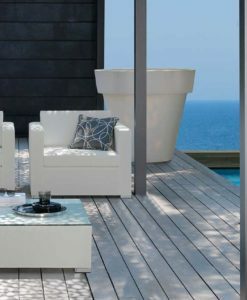 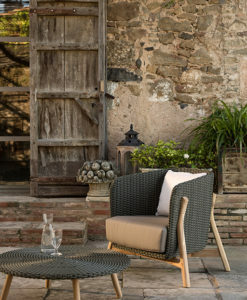 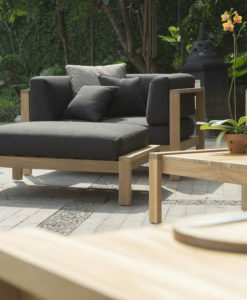 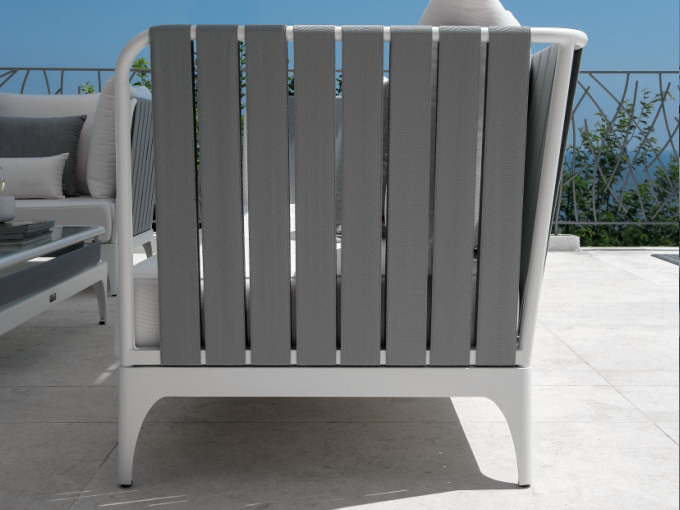 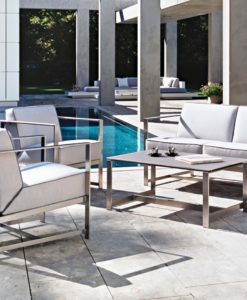 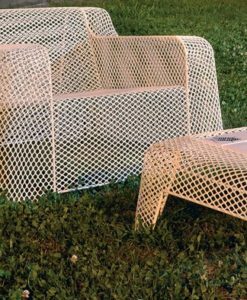 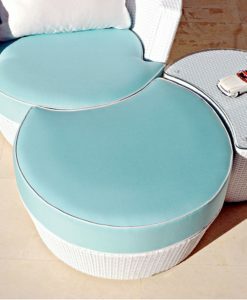 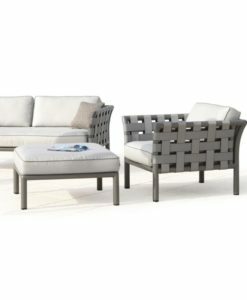 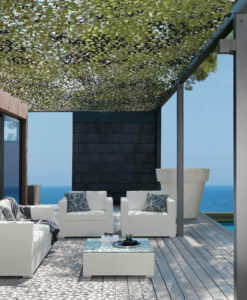 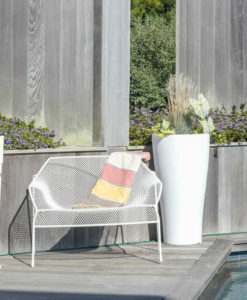 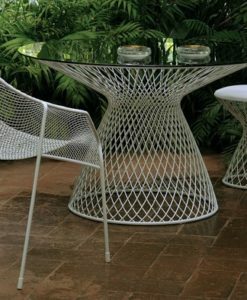 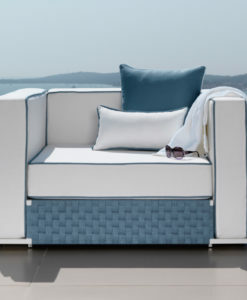 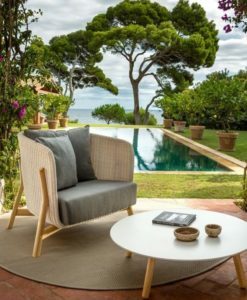 If you have limit space this collection is perfect for small areas such as the terrace or even better a sitting area by the pool. 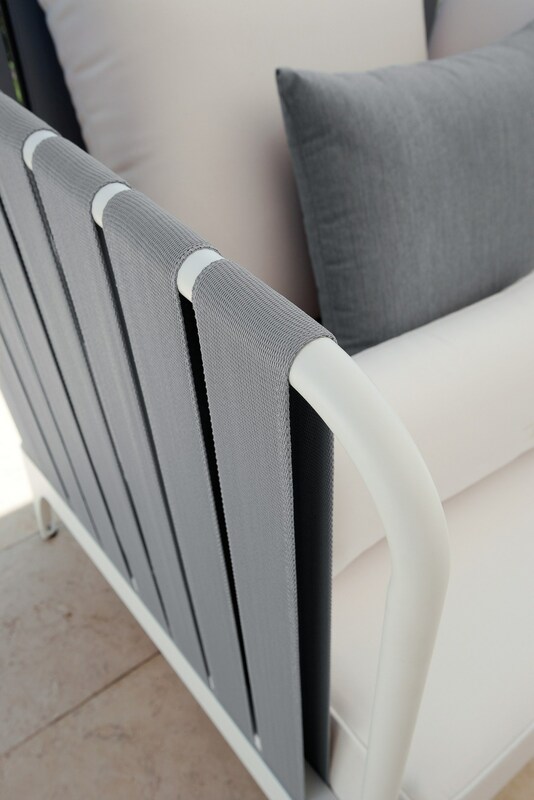 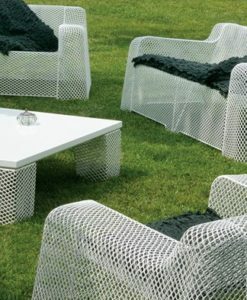 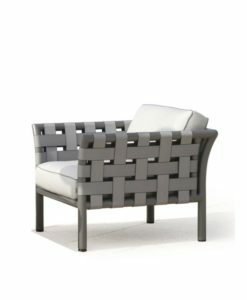 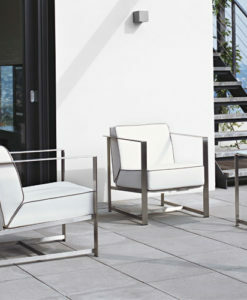 White powder coated aluminum frame, fabrics available sunbrella white & grey, or white & dove fabric. 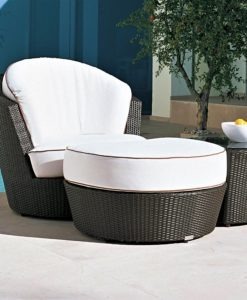 Cushions with removable covers easy to wash & weather resistant. 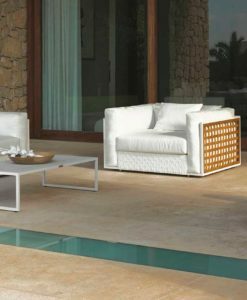 Quick dry foam padding, modern but delicate synthetic belts that go around the frame carefully design to create a stunning outdoor space. 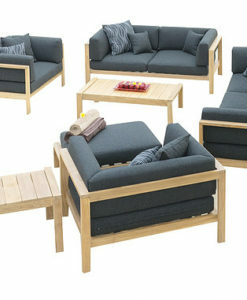 also available in 2 seater sofa & coffee table.